I’ve provided a lot of aerial photography updates on Marine Life Park, with my Marine Life Park – from the air series. As only the Adventure Cove Waterpark is built above ground, there isn’t much coverage on the S.E.A Aquarium. However, there were interesting changes recently. 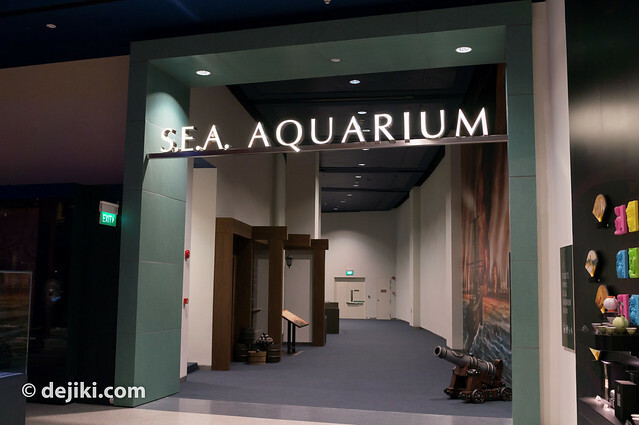 Here’s a sneak peek at S.E.A Aquarium, the world’s largest oceaniarium. S.E.A. 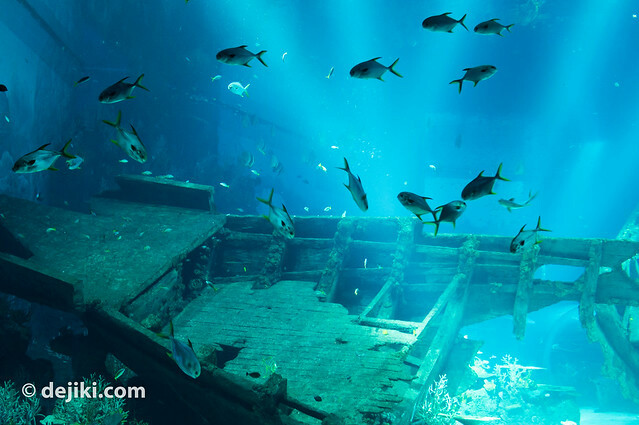 Aquarium (Southeast Asia Aquarium) is home to over 800 species of marine animals. It promises the world’s largest window to the ocean and is also the world’s largest aquarium. Exhibits at S.E.A. Aquarium will bring guests on a discovery tour of marine life and environments, from Southeast Asia to African subcontinent, possibly more. There will be a mix of different viewing windows, from the usual glass walls, to a mega glass wall, aquarium tunnels and overhead viewing panels, as well as some smaller open tanks with interactive exhibits. – Photos of some Exhibits! This is the Maritime Experiential Museum (First photo taken a year ago). It has also has a historic ship harbour (not pictured). Read more about MEM here (when it was MEMA). Anyway, there are already some changes done to MEM to accommodate S.E.A. Aquarium. References to S.E.A. 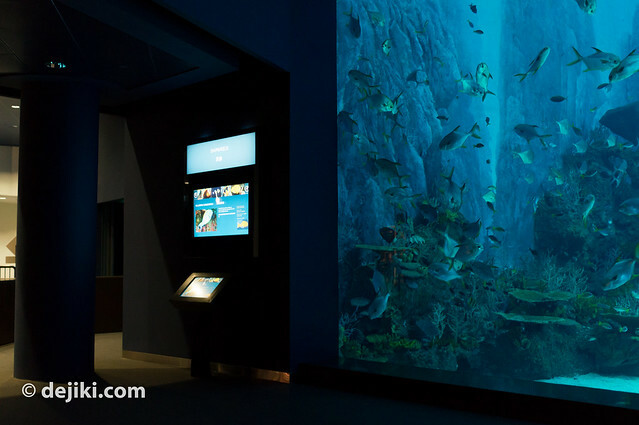 Aquarium can be found all over the Museum. 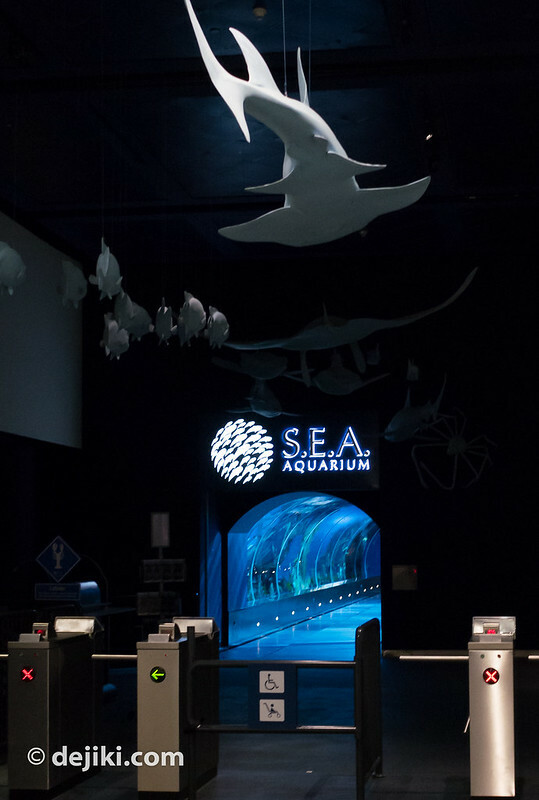 According to MEM staff, tickets to the Aquarium includes admission to the Museum. This is because you’ll need to walk through the upper level of MEM to get to the Aquarium. The entire The Souk and its exhibits, actually. 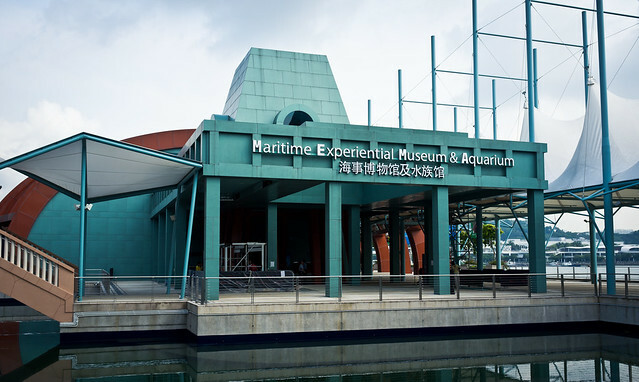 The entrance to is located near the Maritime Archaeology Gallery and Typhoon Theatre exit. 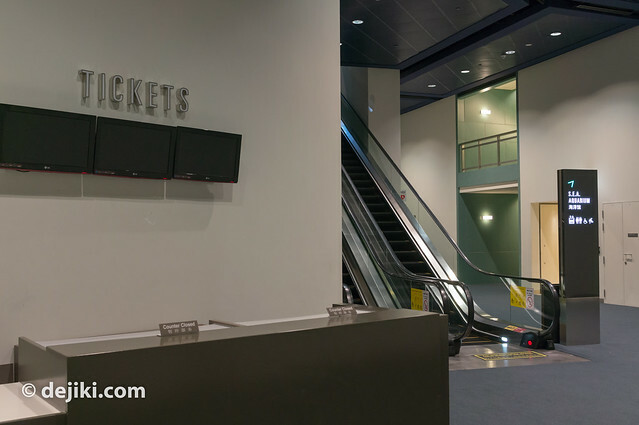 Ticketing counters are next to these escalators. Given how MEM is structured, these counters should be for MEM guests who then decide to visit the Aquarium. Most people would buy Aquarium tickets outside MEM. Anyway, you’ll need to take these escalators to transit between Souk gallery (Level 1) and the Basement level, especially if you skip Typhoon Theatre. And here is the actual entrance, with turnstiles. It leads to one of the exhibits, called Strait of Karimata and Java Sea. (This area is labelled as “Entrance to S.E.A. Aquarium from MEM” in the Aquarium Layout below). The Shipwreck Habitat exhibit is now open to all MEM guests. This exhibit shares the same tank as Strait of Karimata and Java Sea. 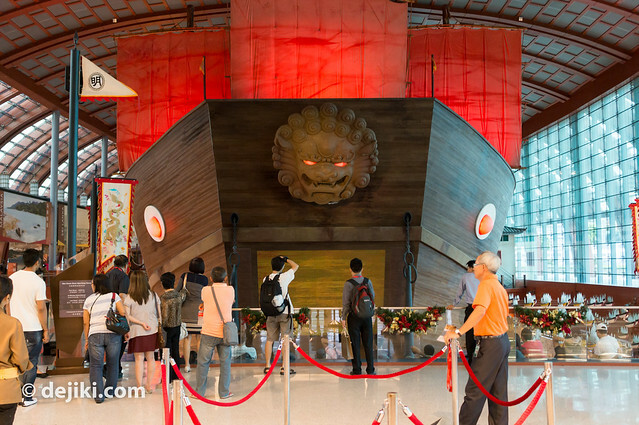 You don’t need a ticket to Typhoon Theatre to see it, although this exhibit is a nice conclusion to the Typhoon Theatre experience. There will also be many interactive booths, such as the one on the left here. 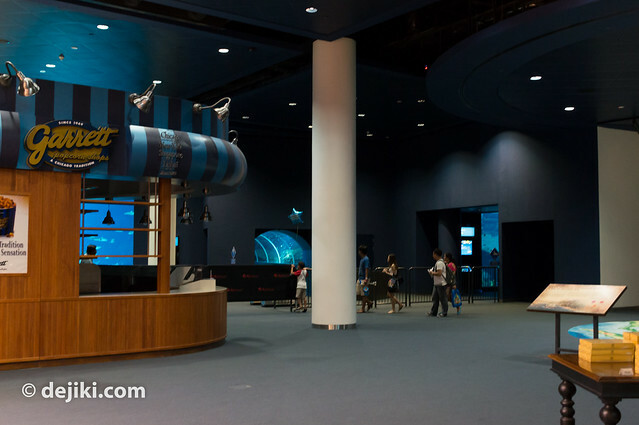 To the left of Shipwreck Habitat is the Shark Seas exhibit – which is a tunnel, and a large window. This area could also be one of the exits of the Aquarium (labelled “Exit to MEM” in the Aquarium Layout below). So here is the layout of S.E.A Aquarium, appended with more details. 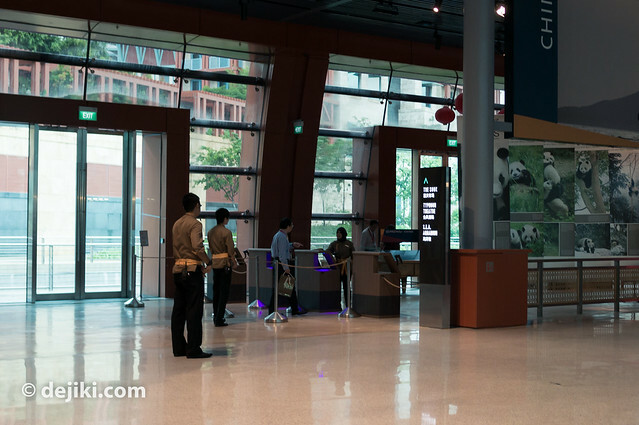 If you look closely, the Aquarium appears to be designed with one very long, swiggly path, starting from the bottom left, going up to the biggest exhibit at the top right, then back down to the bottom left again. Essentially, S.E.A. 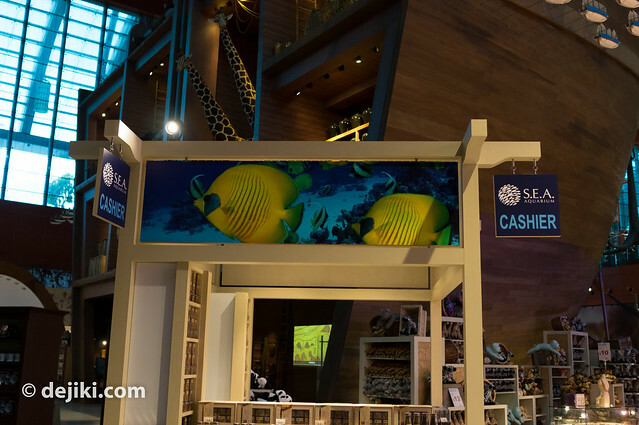 Aquarium starts and ends with the two exhibits closest to MEM. The Open Ocean sits in the middle of this long walkthrough. Of course, guests should be able to deviate from the standard path if they wish. There are 11 aquarium zones at S.E.A. Aquarium. Some zones are large tanks, while others made up of series of smaller tanks. 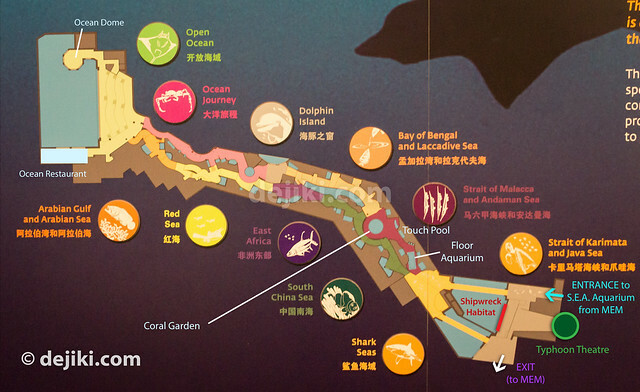 This is just a layout of the exhibits and may not be representative of the entire Aquarium complex. 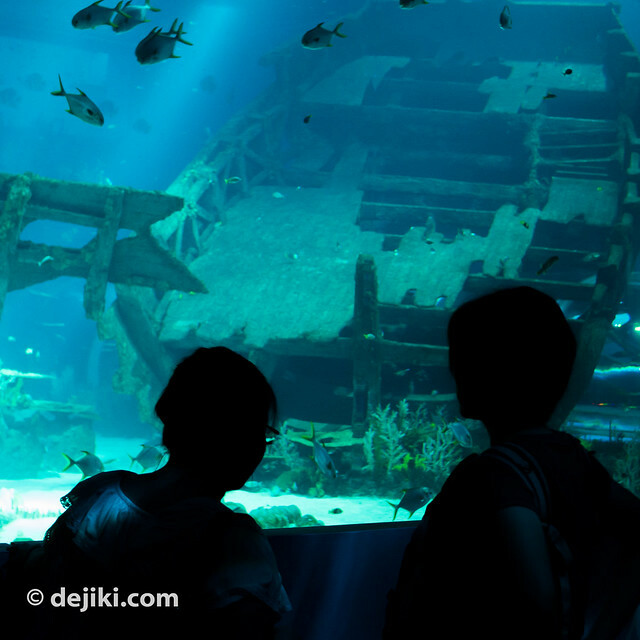 The Shipwreck Habitat tank is shared with Strait of Karimata and Java Sea. You can see parts of the tunnel if you look closely. Strait of Karimata and Java Sea and Shark Seas feature glass tunnels and a slow moving walkway. It seems that Open Ocean zone may have amphitheatre seating, or multi-level viewing areas. It’s a very large panel anyway. There’s also a small extension at the very top of this layout. 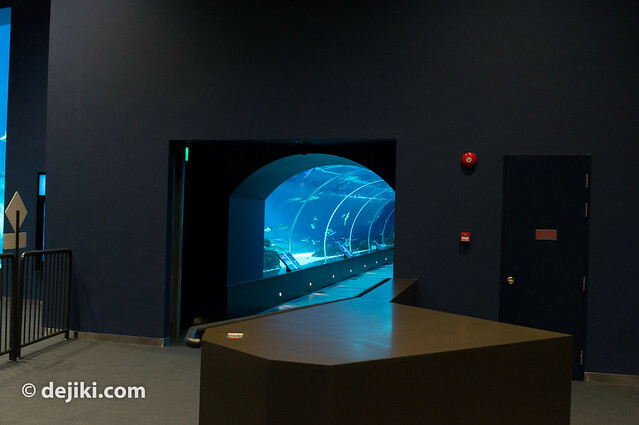 It looks like a special viewing area (a dome, according to Zooish) for guests to view this massive aquarium and be engulfed in (almost) all directions – a nearly 360° surround experience of the Open Ocean Habitat. It’s not a true “surround” experience, sadly. In case you’re wondering, the left edge of the Aquarium is linked with Marine Life Park’s Ocean Suites. According to Zooish, these exquisite in-park suites will have a window into the Open Ocean, for a memorable and unique experience. The Ocean Restaurant has viewing panels looking into the Open Ocean (refer to map!) There is also a cafe in the S.E.A. Aquarium. 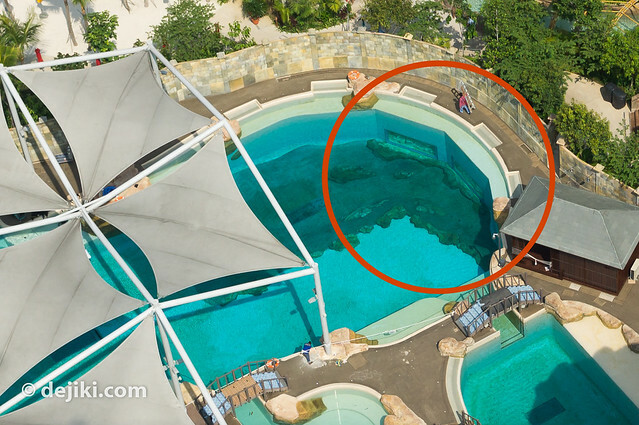 As more time is required to transfer the 25 bottlenose dolphins from Philippines, most likely the windows to Dolphin Island would be sealed up or something when Marine Life Park opens. While we already know that the Aquarium is linked to MEM, this is where the two attractions are joined. 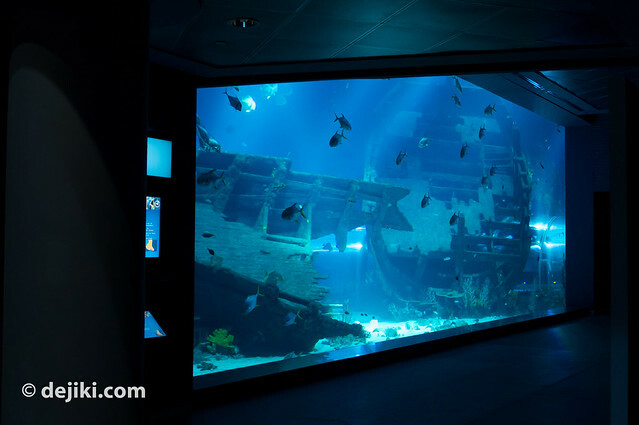 It looks rather seamless, with the Shipwreck and Shark Seas exhibits viewable from MEM. This location is labelled as “Exit to MEM” on the Aquarium layout above. 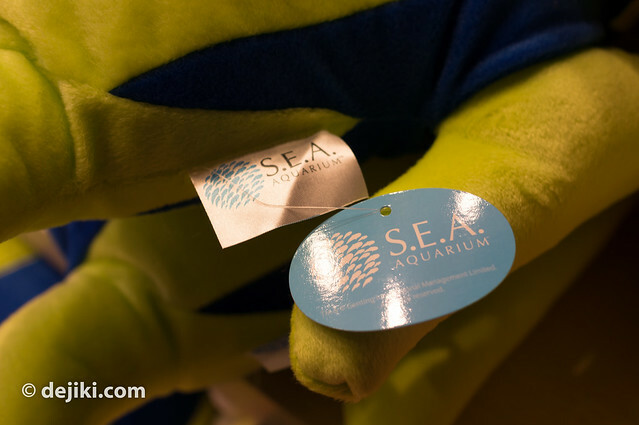 S.E.A Aquarium merchandise can be bought at MEM. As far as I could find out, there isn’t another store within the Aquarium complex (yet). This is great actually – there’s more space for exhibits and walking within the Aquarium! 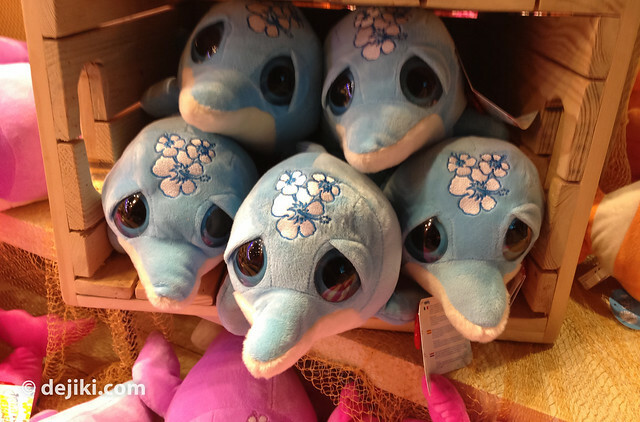 These dolphin plush toys – I find these toys rather amusing because these “sad dolphins” are souvenirs available at S.E.A Aquarium, but perhaps not everyone might feel the same way. 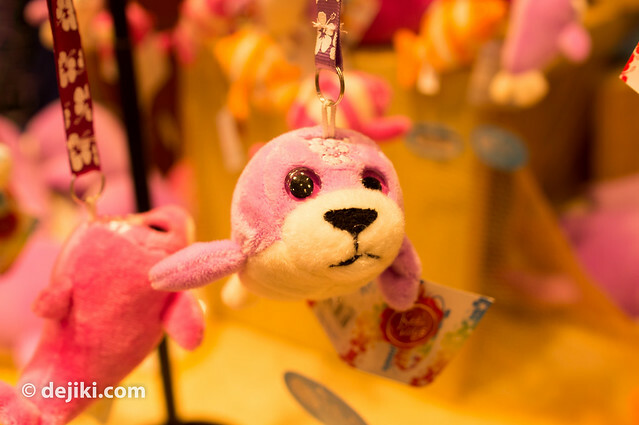 I showed photos of these toys to a few people and they agree that the dolphins look “sad” and “depressed”. I’m not sure why they were designed to look like that. Perhaps it’s meant to portray a shy/bashful dolphin, but it is looking more depressed, sleepy or tired (the orchids on its forehead… injuries? bumps? dents?). It’s quite puzzling – given what happened last year with a particularly strong campaign by animal activists. A smiling dolphin would be better – despite the hard truth that dolphins are really not in a jovial mood when they appear to be smiling. Now that the list of attractions and layout of the S.E.A. 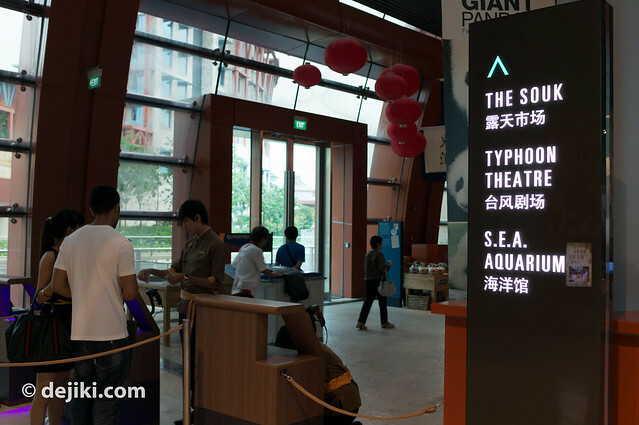 Aquarium is revealed, what do you think about the rumoured admission prices? Too high? Just right? Leave your thoughts via comments. *Note: These are tentative rates and are not officially announced by RWS. Thus, the rates are subject to change. Use this information only as a rough guide. *Subject to change during initial opening period! Stay tuned for further updates. You might also want to see the Marine Life Park – from the air series to view the development of the Adventure Cove Waterpark over the past few months. I have a feeling that the top tier could be the Ocean Restaurant (kinda like Ocean Park’s Grand Aquarium). I wonder how the Open Ocean Habitat would look. It’s not going to be one seamless pane, right? The Shipwreck Habitat’s window had no visible lines but there are areas where the glass “seams” are more apparent. It will be a single pane (slightly visible seams are inevitable i guess). Like the huge windows at Dubai, Georgia and Okinawa aquariums. The Open Ocean was to have featured the whale sharks until RWS decided to drop the plan. So we can actually view part of the Aquarium now. 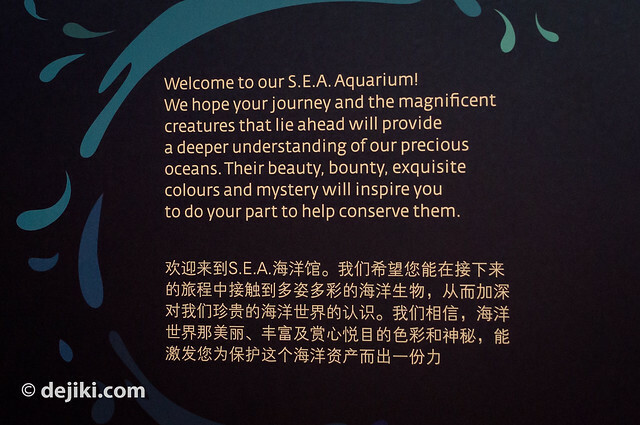 I am quite excited about S.E.A Aquarium, since I have been to quite a lot of aquariums back in China and gradually I got bored. I am expecting to be surprised when I visit this one! So is the Marine Life Park now = this SEA Oceanarium? Is there anything else to see in the forthcoming Marine Life Park? (I do not swim, so water slides are not for me). Will people stop going to Underwater World / Dolphin Lagoon or are they going to be incorporated in this? Marine Life Park will be split into 2 zones. There will be S.E.A. Aquarium and Adventure Cove Waterpark. On the second question, Underwater World / Dolphin Lagoon are not part of RWS, so they will remain as competitors. Latest info is that MLP will open on 30 Nov 12, 10am. Can anyone substantiate this? I am only aware that RWS Team Member previews, specifically for Adventure Cove Waterpark, are happening today and tomorrow. 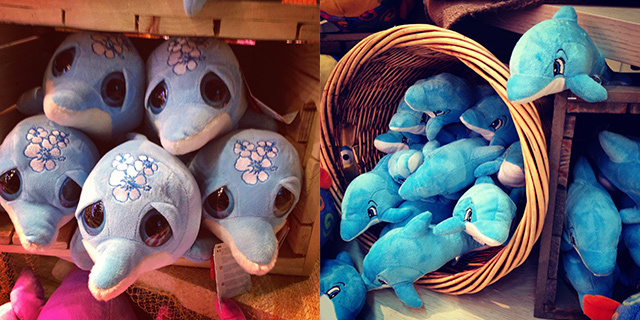 Those sad-looking dolphin plush toys have either been snapped up or taken off the shelves. I didn’t see them at the shop. They’ve been replaced with happy dolphins. 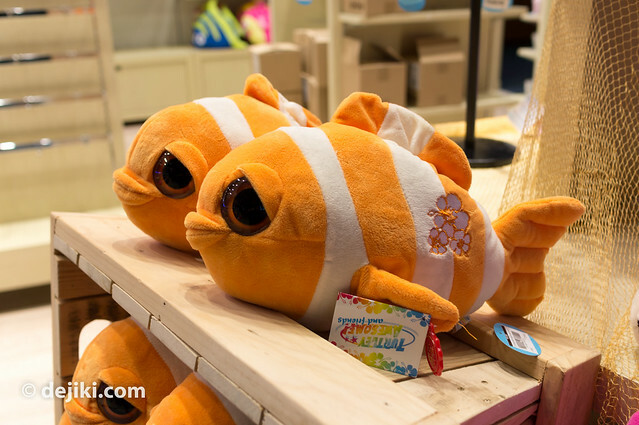 The “sleepy” yellow fish toys were also been removed.